The little dusting of snow on the dome, like an icing, contrasts with the amount on the ground. Love how the eye is drawn to the impressive and beautiful building. Good winter shot; I guess domes were 'in' in that period of American architecture. We have seen this only in summer. It looks great in winter as well. We were surprised to learn how Beacon Hill was leveled off to make room for the State House and other buildings. Not so many tourists as when I was there! A fantastic picture , very strong and impresssive! This image is timeless, Clueless. 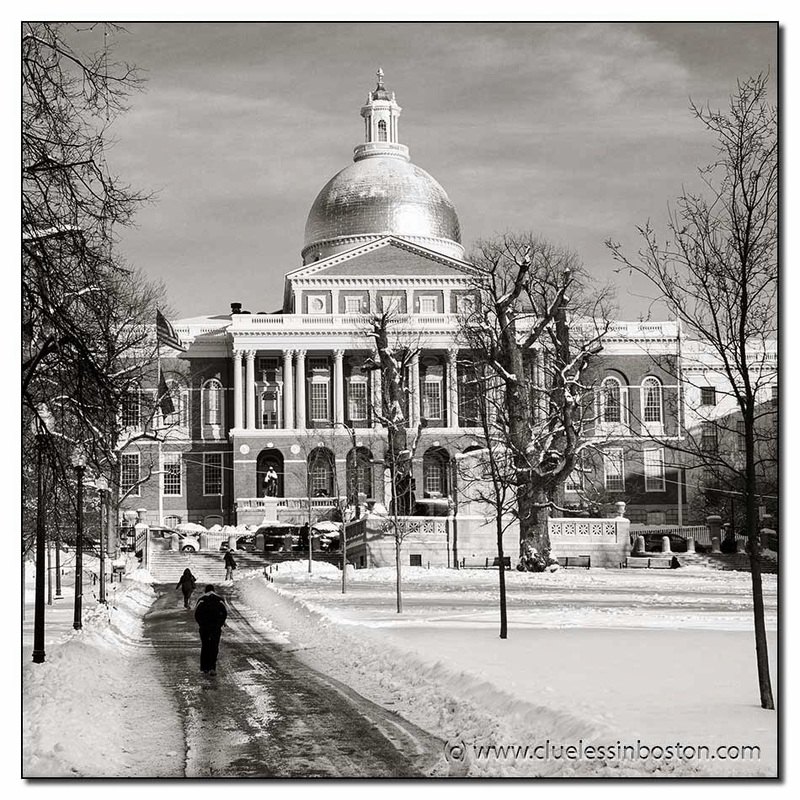 The Boston State House was one of the great buildings of the new country. This is beautiful. I love the dusting of snow on the dome of the State House.